Scientists in Japan have developed an AI that can decode patterns in the brain to predict what a person is seeing or imagining. In a new study, researchers used signal patterns derived from a deep neural network to predict visual features from fMRI scans. In the new approach, the researchers trained decoders to predict arbitrary object categories based on human brain activity. Subjects were shown natural images from the online image database ImageNet, spanning 150 categories. 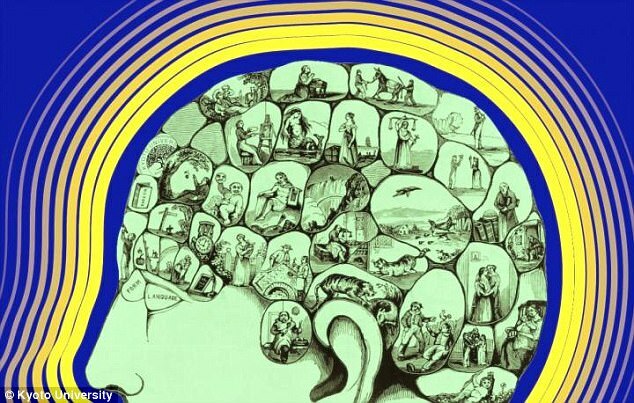 Then, the trained decoders were used to predict the visual features of objects – even for objects that were not used in the training from the brain scans. The decoder used the neural network patterns, compared them with image data from a large database, accordig to the researchers. This allowed it to identify objects with a high degree of accuracy. ‘When we gaze at an object, our brains process these patterns hierarchically, starting with the simplest and progressing to more complex features,’ said team leader Yukiyasu Kamitani, of Kyoto University. ‘The AI we used works on the same principle. Such category names allow computers to recognize the objects in an image, the researchers explain in a paper published to Nature Communications. When shown the same image, the researchers found that the brain activity patterns from the human subject could be translated into patterns of simulated neurons in the neural network. This could then be used to predict the objects. 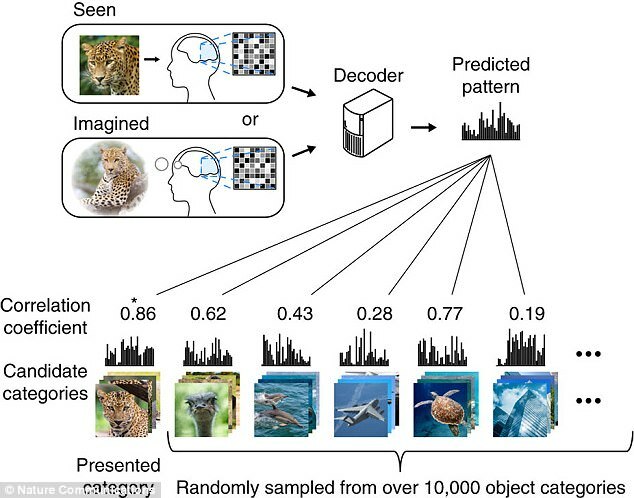 ‘We tested whether a DNN signal pattern decoded from brain activity can be used to identify seen or imagined objects from arbitrary categories,’ says Kamitani. ‘The decoder takes neural network patterns and compares these with image data from a large database. The experiment showed that the features of seen objects, calculated by the computational models, can be predicted from multiple brain areas, they explain in the paper. And, the decoders could also be used to predict imagined objects. The researchers also found that lower and higher visual areas in the brain were better at decoding the corresponding layers of the neural network. They’re now hoping to refine the technique to improve the image identification accuracy.